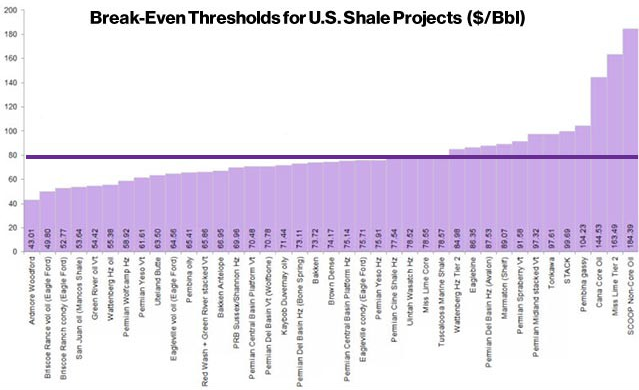 Why $40/barrel is a Sticking Point for Crude Prices | Energy and Gold Ltd. Remember this chart that was passed around quite a bit earlier in the year? 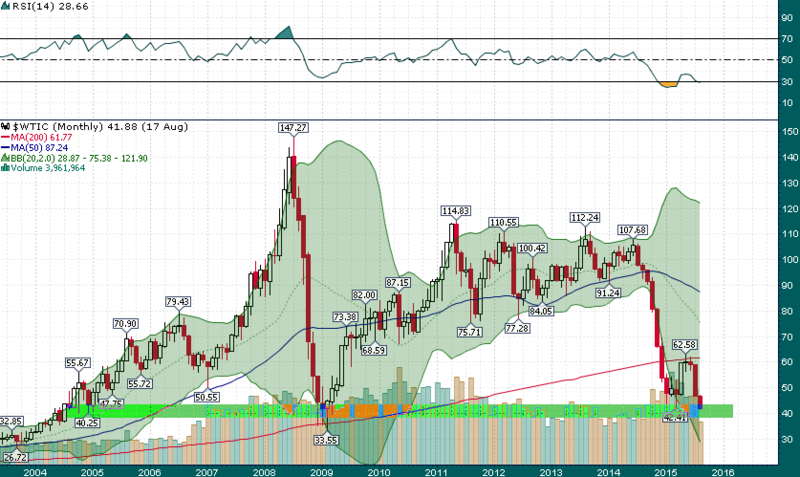 This chart has become important again as crude oil prices flirt with the $40/barrel level. 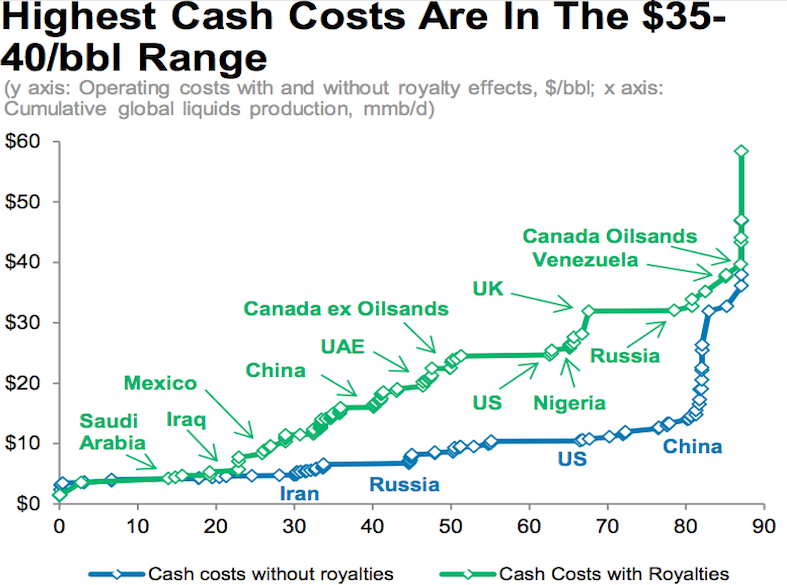 Cash costs (variable operating costs) are distinct from the overall cost of an oil project because they are the costs associated with producing an additional barrel of oil from an existing project. Whereas ‘all-in costs’ include comprehensive costs including finding & developing costs etc. While the trend in crude oil couldn’t be much uglier (down 9 consecutive weeks), it’s pretty clear that it will take a major global downturn in demand for prices to fall below $40/barrel for an extended period of time. 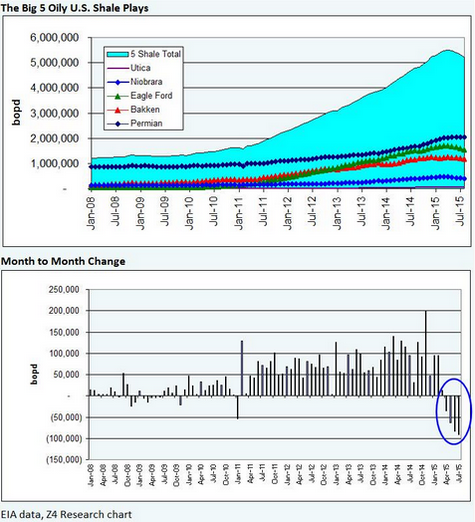 We aren’t there yet, in fact demand is still growing.